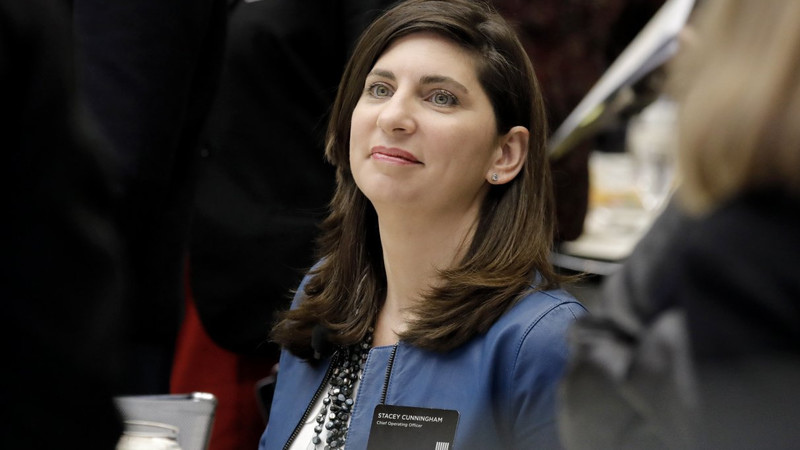 AKIPRESS.COM - The New York Stock Exchange has appointed Chief Operating Officer Stacey Cunningham as its first female president, an NYSE spokeswoman told Reuters on Monday. Cunningham, who will start her new role on Friday, will replace Thomas Farley as head of NYSE, which is owned by Intercontinental Exchange Inc, the Wall Street Journal reported earlier on Monday. Cunningham became NYSE’s chief operating officer in June 2015 and managed the company’s cash equities markets, relationship management, product management, and NYSE governance services. Farley will take up a new role as the head of Far Point, a new special-purpose acquisition company, or SPAC, backed by Daniel Loeb’s hedge-fund firm Third Point LLC, WSJ reported. Reuters reported earlier this month that Third Point was in talks with investment banks about launching a “blank check” company that would raise money in an initial public offering to pursue an acquisition. The new investment vehicle would be the first of its kind to be raised by an activist hedge fund such as Third Point.